The Scholastic Shooting Sports Foundation (SSSF) is a charity organization that caters to both the Scholastic Action Shooting Program (SASP) and the Scholastic Clay Target Program (SCTP) across the country. The SASP and SCTP are development programs for the youth in which shooting trainers and volunteers use target shooting to demonstrate and teach teamwork, integrity, ethics, honesty, responsibility, sportsmanship, and other important life skills. Initially, the SCTP was under the National Shooting Sports Foundation (NSSF). That was until 2007 when the SSSF was established and took over. The SSSF also formed the SASP in 2012 and, since then, it has had tremendous success. The SSSF is now the governing body for major shooting programs. The SSSF’s major goal is to introduce youths to the sport of shooting. They also facilitate their sustained involvement by promoting and providing opportunities to make participation in the sport safe and enjoyable to enhance their personal development and growth. Until recently, only volunteer coaches and athletes in SASP and SCTP could join and take part in SSSF activities. But all that changed when the organization introduced the Supporting Member membership in which all individuals interested to be part of youth shooting sports could join. What Shooting Discipline Does SASP Use? SASP’s discipline is speed shooting at steel targets. It combines the best features of other disciplines to allow shooters practice and participate in exciting matches. What Are the Requirements Needed to Form a Team? To form a team and be able to compete locally and internationally, you need to have a coach and a minimum of four shooters. The team must field at least a single full squad to qualify as a team. There’s no limit to the number of team members or squads a team may field. In addition, the team needs to have a place where its members can practice their shooting skills. The head coach must be a qualified instructor at least 21 years old. There’s a junior division for shooters between 12 and 16 years old, a senior division for shooters aged 17 to 20 years old. There is also a collegiate division for any full-time college students. The SSSF is proud to invite all qualified 2018 SCTP and SASP shooters to apply for the SSSF-NRA All-Scholastic Team. Why Should You Participate in SCTP? The SSSF offers gun insurance to its members at very affordable rates through the Sportsman’s Insurance Agency. The organization also has an umbrella liability policy for its members. The SCTP is full of USAS, NRA, and CMP instructors who are qualified to conduct Level I shotgun training to its participants. The organization also develops coaching materials such as manuals, informational, and tutorial videos to help coaches train their teams better. For all new teams, the SCTP provides an excellent start-up gear and equipment package. The SCTP holds local, state, regional, and national competitions for its members. The SCTP, in collaboration with Midway USA Foundation, raise money by providing laptops, iPads, computers, rifles, and shotguns to be raffled. The annual SCTP scholarship program offers sponsorships to college seniors. Being the official USA shooting youth program, SCTP provides junior development camps where young shooters who are interested in international competitions can nurture their talents and work directly with their coaches. SCPT members have access to a number of great discounts on guns, ammunition, and other accessories. The SSSF helps new teams to start endowment accounts and offer different ways to fund them. Many sponsors support the SCTP in the industry including manufacturers of firearms, ammunition, gun care equipment, and other shooting accessories. Many of these sponsors offer discounts to SCTP members on all their products. 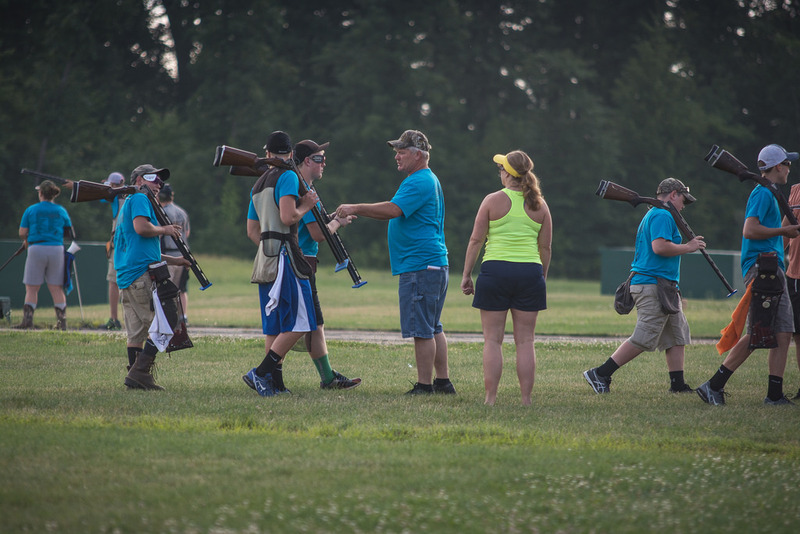 The organization awards the best teams and coaches in all SCTP shooting competitions. The SCTP has an online registration and scoring system on SSSF, where coaches can easily manage their team’s activities. Upon registration, they will provide you with your own scholastic login. The Scholastic Shooting Sports Foundation has an accredited staff to help coaches and teams with any challenges or questions that they may have. The National Junior Shooting Team comprises the best shooters from SCTP regional and national championships. The youths are the leaders of tomorrow. SSSF works under this principle by introducing shooting sports to youngsters and helping them use sports to grow and develop. To assist Scholastic Shooting Sports Foundation to achieve its goals, your donations will go a long way!